Predict the scores and receive 1 point for a 'correct result', 3 points for an 'exact score' or nothing if the result is wrong. If points are equal then the winner is the one with the most 'exact scores' and then if these are still equal it's the amount of goals scored in your correctly predicted 'exact scores' that count. So, if you predict an 'exact score' of 2-2 this is better than an 'exact score' of 1-0. The 'banker' doubles any correct predictions. If you play your banker on a particular game and you correctly predict the 'exact score' you will receive six points for that game, if you correctly predict the result then you will receive two points for that game. But please beware if you incorrectly predict the result you will have one point deducted. There are usually 2 Bankers per round, but this is at PredictorPro's discretion. 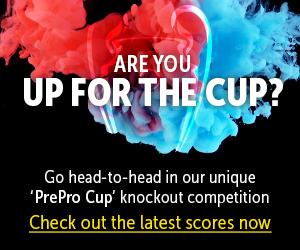 You must submit your scores a minimum of an hour before kick off and you can change your predictions up until then. Monthly Leagues: On sign up you are assigned to a Monthly League. At the start of each season players from the prior year are reallocated where they finished then new players are allocated, on a first come first served basis, top down. Starting A1, then B1 and B2, then C1, C2, C3 etc. Each league is made up of 32 teams and scores are reset to zero at the end of every month, then the top 4 teams are promoted and the bottom 8 relegated. The Monthly League winner is the person sitting on top of A1 League at the end of the season. World League: Quite simply this is everyone in the World, top to bottom, ranked as before with points, goals etc. The Champion is the team who finishes top. Friends Leagues: This is the heart of PredictorPro where you can start your own leagues, invite your friends, clients and enemies - best man (or woman) wins!